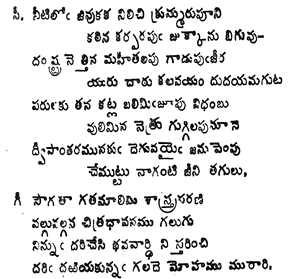 Tenali Ramakrishna Kavi or Tenali Ramalinga Kavi is famous all over the world for his wit and spontaneity. His poem – meka tokaku is a classic in itself. 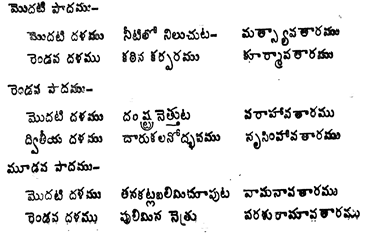 But, very few note that he is one of the best poets Telugu produced and his Panduranga Mahatyam is considered one of the toughest five in Telugu along with that of his patron’s Amuktamalyada. Below poems are a random selection of his contribution to the language.